The original and valuable pipe organ had to be carefully protected during construction. The console and echo organs, close to the line of th e shear walls, had to be removed and re-installed. Parts of the instrument were upgraded, and the entire system was re-tuned. 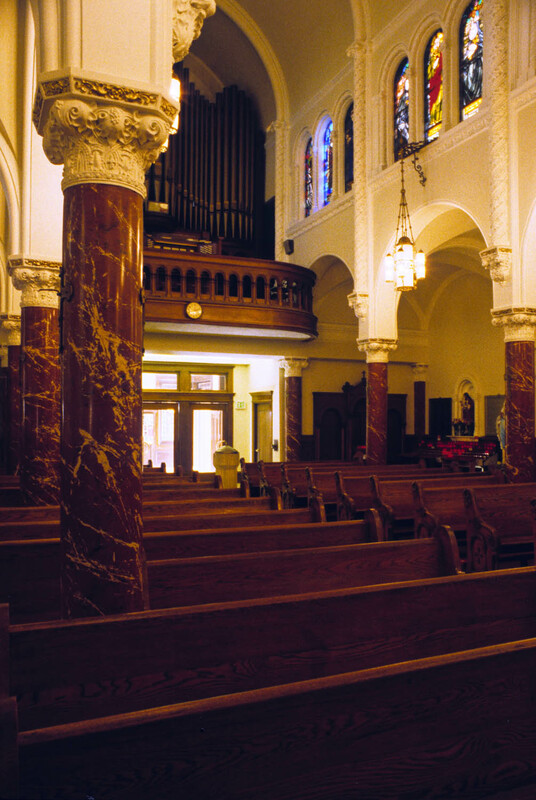 At the level of the nave, the entry was reworked to accommodate the new shear walls, behind which the elevator and elevator lobby on one side, and a reconciliation room on the other, are located.